MNGS staff members have been teaching children, teenagers, special education and special needs youngsters since 1981. 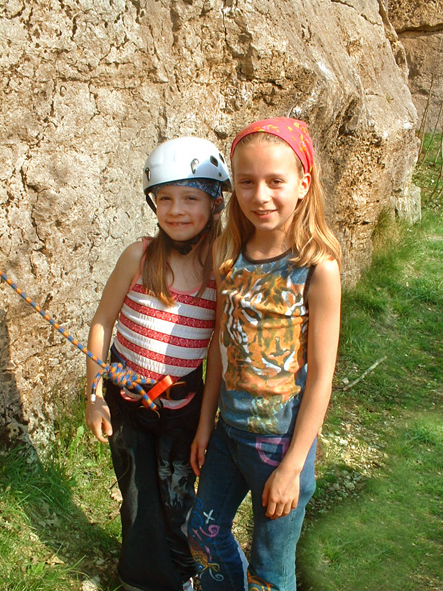 Unique classes in full and half-day sessions have been part of our curriculum for years, and children’s programmes represent some of our most successful and enjoyable outings. 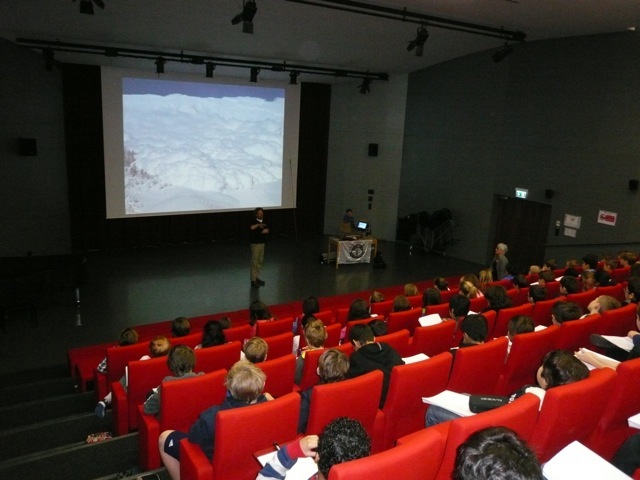 We are chosen by schools like the International Schools of Geneva, Dee Dee Wallace Center (US), inner city institutions for under-privileged youths and others to provide students with outdoor activities as well as safety presentations like Avalanche Awareness demonstrations. 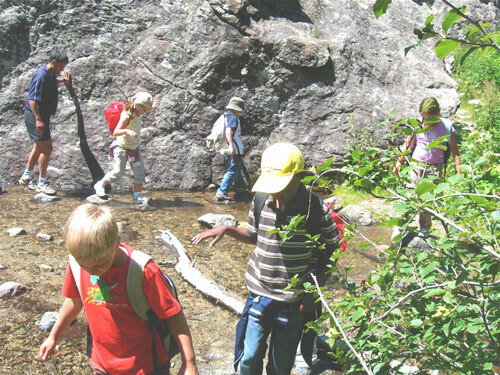 Currently MNGS provides outings for young people that include nature hikes, animal tracking, glacier treks, via ferratas and rock climbing. We can provide a list of clients, parents and institutions that have taken advantage of our work with children for more than 30 years, including schools and special education organizations. We keep our child to instructor ratio appropriate to any special needs or requests, as well as the particular activity and programme. MNGS recognizes the unique learning abilities, special interests and attention levels of children at various ages of development, and has designed programmes and activities specifically for different ages and abilities. We never allow safety to be compromised for any reason at any time, and have never had a child injured in one of our programmes since the founding of our organization in 1981. 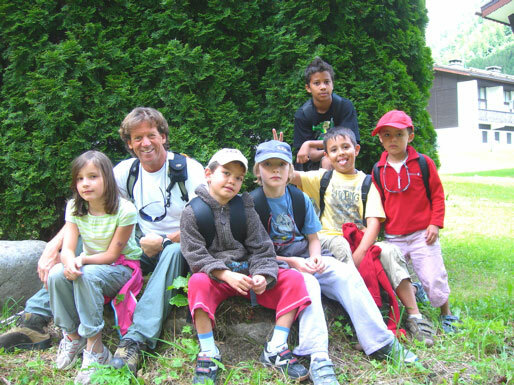 Keeping our guide and student ratio specific to the activity, we can spend all of our time teaching children about everything involved in safe hiking, animal observation, rock climbing or glacier travel, so they not only have a great time, but come away from the experience knowing more than most adults ever learn about the safe, responsible conduct of outdoor activities. Cost: According to activity, location and number of participants. These sessions are designed to build confidence, while teaching effective approaches to challenges and problem solving in practical terms. 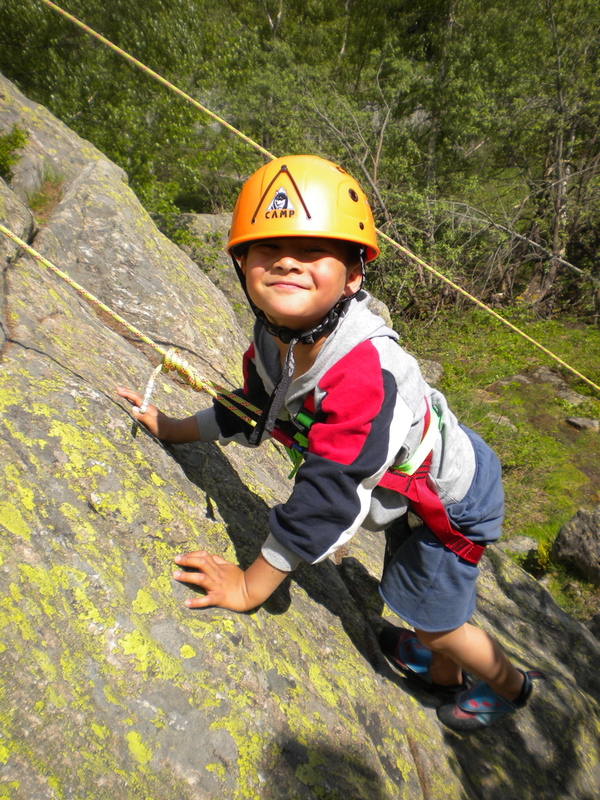 Children acquire the skills to safely engage in an outdoor activity responsibly, while having fun and enjoying a healthy, natural activity. MNGS teaches young people all about the animals of our areas, their habits, nutritional needs, methods of survival, hunting and foraging, family units, unique abilities/skills and how humans effect animals in both positive and negative ways. We track animals to the places they live, feed and rest, but never disturb them in any manner. We learn how to be stealthy as we get close to chamois, marmots, bouquetin, martens, fox and others, while explaining animal ‘signs’ and how to determine which individual animals we are following and what they are doing, as they leave subtle signs of passing, and why they engage in particular behaviours. We stress the fragile balance humans and animals maintain and the important need to protect these amazing creatures, as we sensitively visit their habitat and learn what they have to teach us. MNGS takes young people onto real high-mountain glaciers and introduces them to the beautiful alpine world of glaciers and mountainous terrain. 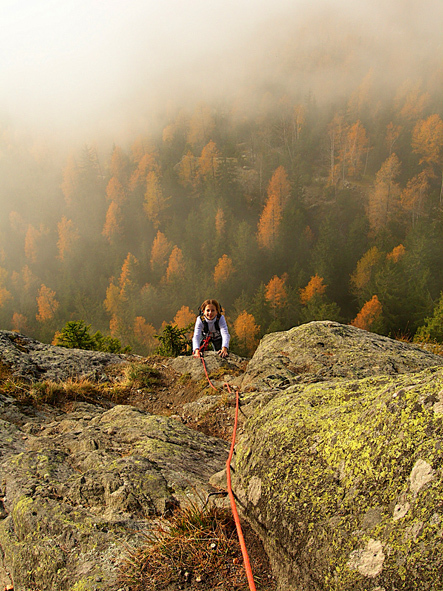 Using ropes, harnesses, crampons, helmets and ice axes, they walk with us in the most beautiful of all places. During our outings we teach them about glaciers, crevasse formation and movement, avalanches, safe mountain travel and the importance of being attentive at all times when visiting any alpine environment. 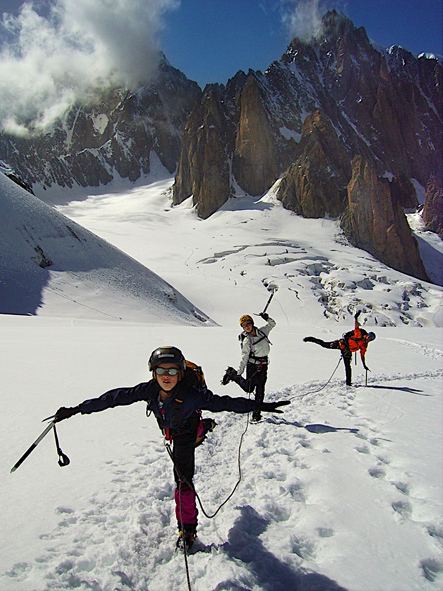 They hike with us as part of a proper rope team, and learn the basic skills of safe, modern glacier travel. It is an easy but educational experience they will never forget!